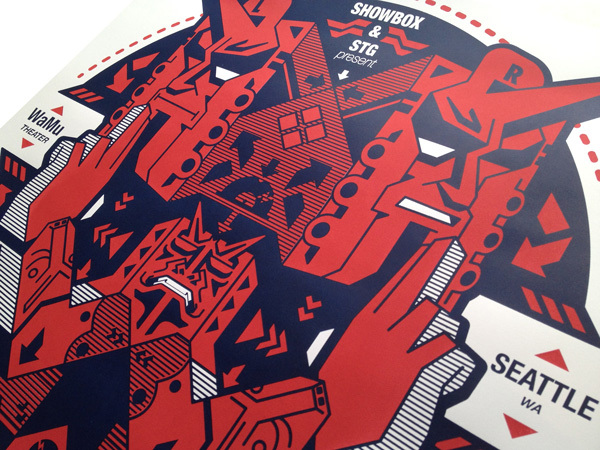 Showbox, the Seattle music venue approached me to design a poster for Bassnectar show. 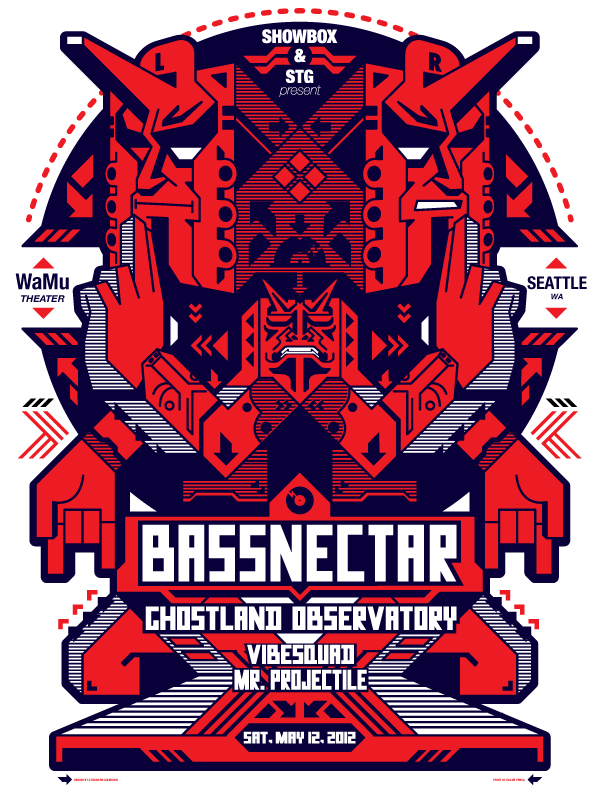 I wanted to express Bassnectar's grungy experimental dubstep style with my illustration. The 2 pair character represents left and right speaker. This poster is available for purchase from here!